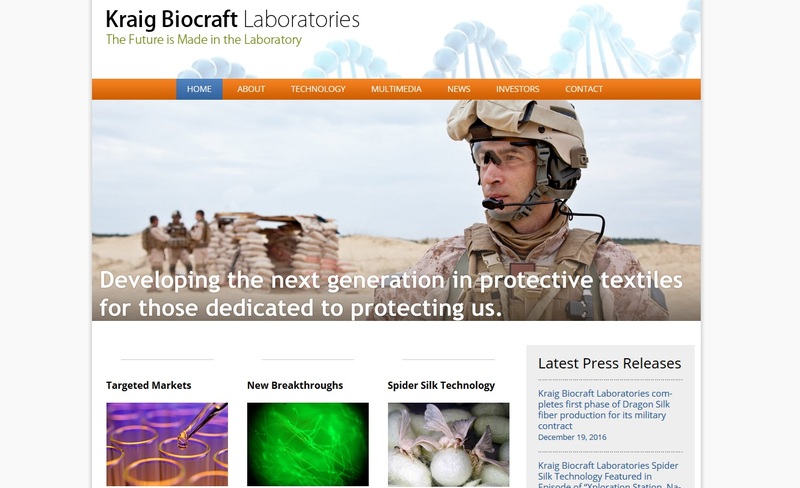 ANN ARBOR — Kraig Biocraft Laboratories Inc. (OTCQB: KBLB), the Ann Arbor biotech and advanced materials developer, announced it has been issued its Enterprise Registration Certificate (ERC) required to begin its operations in Vietnam. The company’s advanced silk production platform was designed specifically to fit within existing silk industry infrastructure. The company has already proven through its contract with the U.S. Army that its spider silk technology can be scaled quickly and efficiently, moving from the laboratories of the University of Notre Dame and into its own research and production facilities. The company said the Vietnam deal gives it a path to greater scalability, harnessing existing silk production infrastructure with the capacity to match the demand for spider silk materials. Today’s announcement follows last week’s announcement of the formation of the Company’s Vietnamese subsidiary Prodigy Textiles Co. Ltd., and the receipt of that subsidiary’s Investment Registration Certificate (IRC). Having been issued both its IRC and with today’s announcement, its Enterprise Registration Certificate (ERC), Prodigy Textiles is preparing to begin operation. Kraig’s new wholly owned subsidiary, Prodigy Textiles, is its spider silk production arm. Vietnam has been the focus of the company’s efforts to launch commercial scale production of recombinant spider silk, due to the country’s existing silk production infrastructure. Kraig estimates that it can produce its recombinant spider silk at prices similar to regular silk, giving the company a tremendous competitive advantage. The company is now preparing for the grand opening of its subsidiary operations in Quang Nam province, Vietnam. Management is preparing to hire staff for the new facilities and is prepping the first allotment of transgenic silkworms to ship from its U.S. research headquarters. To view the most recent edition of Kraig’s Spider Sense quarterly newsletter and/or to sign up for Company alerts, visit www.KraigLabs.com/newsletter.